What if digital identity wasn’t an issue but a catalyst for your business? Electronic IDs (eIDs) can be viewed as the digital equivalent of the physical forms of ID we use in the real world. Trusted digital identity enables you to exploit the possibilities of digital channels, while providing your customers a frictionless experience while signing up or purchasing services online. A true win-win situation. Service providers using eID solutions are able to save money, bring in more customers, and minimize the burden of compliance. 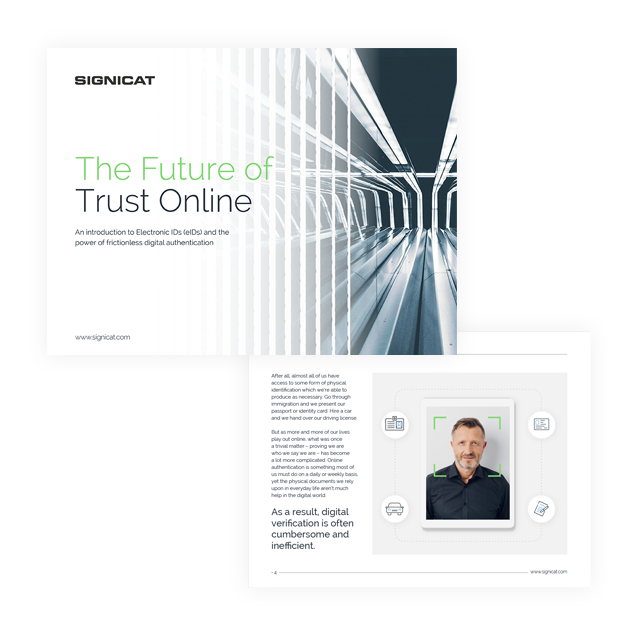 Trusted digital identity unlocks business opportunities while allowing the consumers to maintain control over what information they share with you.